Spring is coming but the roads are still a mess! Well we have been so busy lately repairing bent, buckled and cracked alloy wheels! Hit a pot hole? Then you notice that within days your tyre keeps going down? Probably the most annoying thing to happen – and always when you’re in hurry! 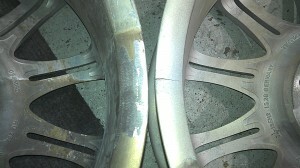 Well don’t panic, here at We Fix Alloys we have the skill and expertise to fix even the most damaged of alloy wheels. We always give you straight forward advice too – going to cost more to fix than the wheel is worth – we will always tell you before we start the work and give you a reliable estimate so that you can make an informed choice about whether you want the work doing. Unlike some other, less reputable companies, we give an electronic receipt for all works completed so that you can make a claim to get those costs back. 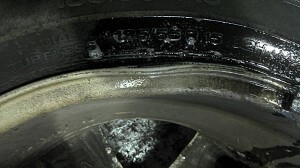 Here are some of the wheels we have fixed recently..